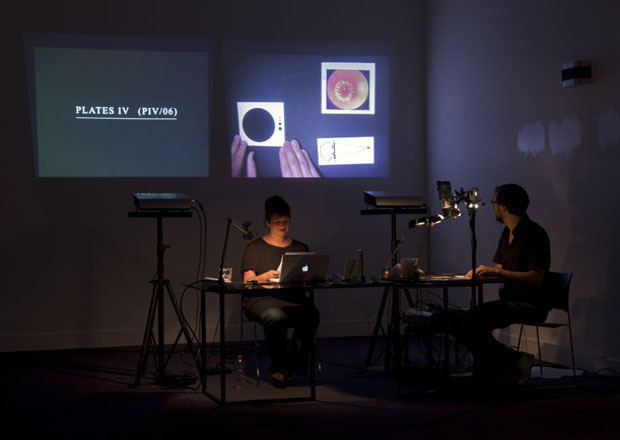 Nikolaus Gansterer in collaboration with the UK based writer Emma Cocker present a performance lecture based on the publication, Drawing a Hypothesis. 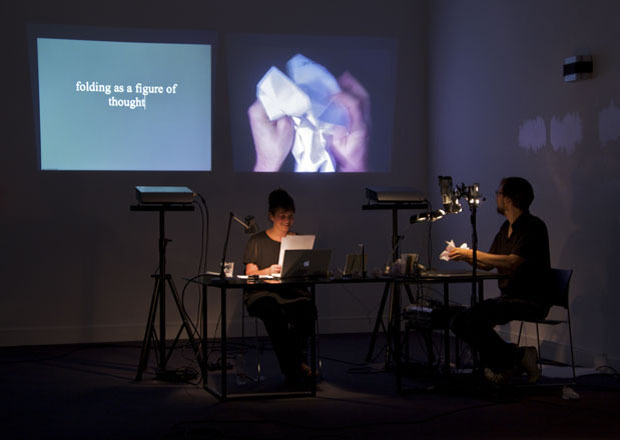 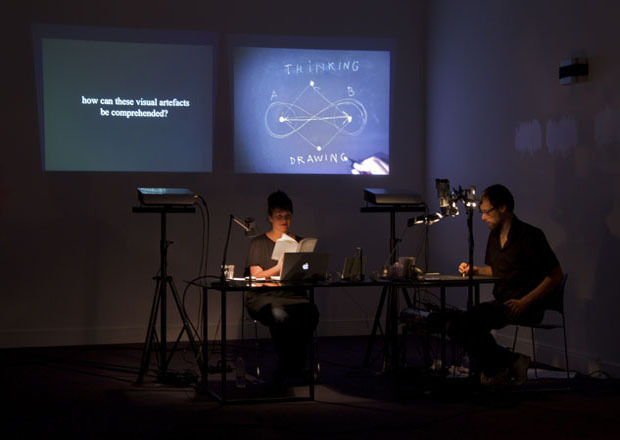 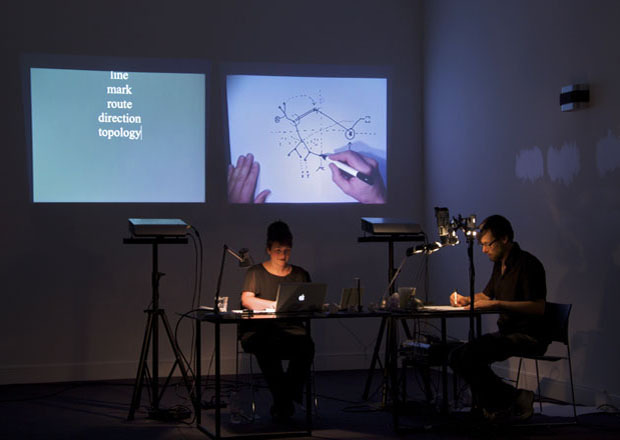 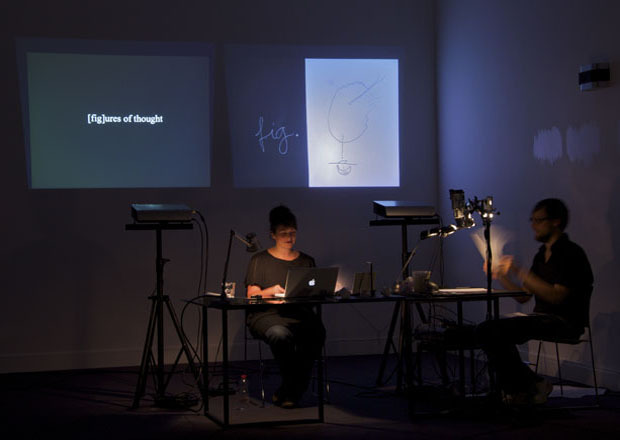 Using processes of cross-reading and live drawing, their performance lecture approaches the publication as a reader might thumb through a book; where certain sections appear to be lingered over, while others are skimmed in the search for key words and phrases, evocative fragments and extractions. 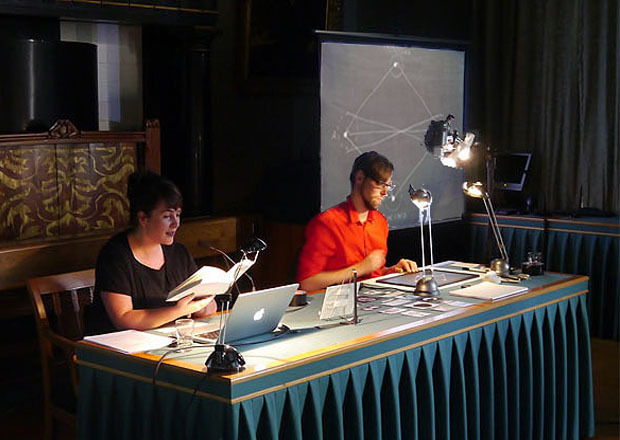 Drawing on Drawing a Hypothesis - Performance from Nikolaus Gansterer on Vimeo. 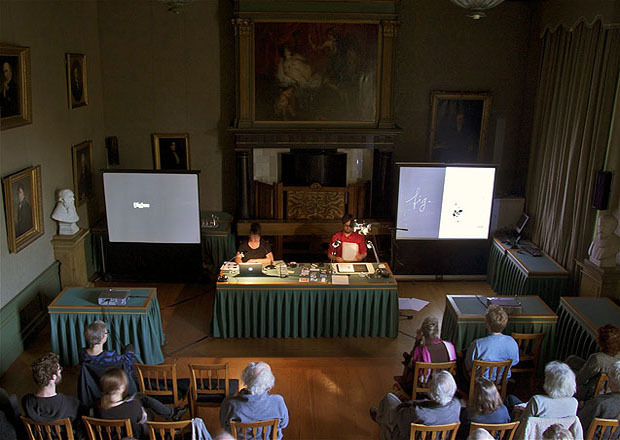 – "Gedanken zeichnen", Roland Fischer, Der Bund Online, 21.09.2012.